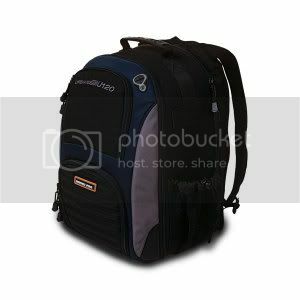 When looking for a gear bag, you will find that there are a multitude of features to distinguish one bag from the next. It seems that every manufacturer has created some clever little gimmick to help set their bags apart and to drive sales. There are two features, however, that are absolutely imperative to all bags: its economy of space and its efficiency of padding. Often times it seems as if, in the pursuit for distinction, many manufacturers somehow neglect these two imperatives. The u120 carries a perfect dynamic between storage capacity and size. It is essentially two bags in one. 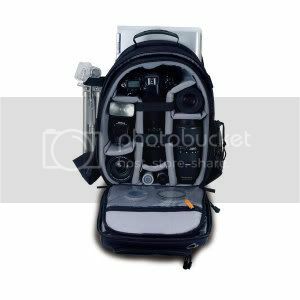 There is the primary backpack component and then a heavily padded, removable camera case that fits into the main compartment of the backpack. By incorporating two bags into one system, Naneu has significantly increased the versatility of the u120. If you find yourself in a situation that you don’t believe will require your camera, you can simply remove the camera case and use the main compartment to store whatever else. The laptop compartment fits machines up to 15-inches, but if that is insufficient, the u220 is almost identical except that holds 17-inchers. The bag has all of the other amenities you’ve come to expect from your backpacks. It has front compartments for storing all of your daily necessities like pens, notepads, etc. It also has a weatherproof headphone port so that you can easily use your iPod. I’ve been battle testing the u120 in the streets of New Orleans for the past week. It’s received quite a few hard jolts and the contents have always remained snug and safe within. While all the other features are indeed great, its ruggedness is by far its greatest attribute. After using this, I really can’t even begin to contemplate carrying my gear in anything less secure. The u120 is available now from Naneu Pro for $129, which is an incredibly affordable investment in the peace of mind it provides. This is, without a doubt, the surest way to ensure that your thousands of dollars of gear don’t end up arrayed in shards across the pavement.